Medical laboratory professionals work in a variety of environments unique to the patients they serve and the work they do. 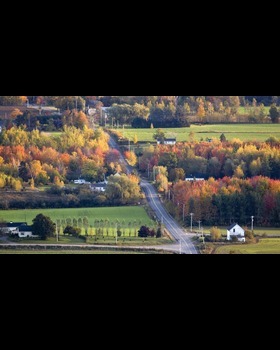 The videos below tell their stories and how they each make a difference in Canadian health care. One video will be unlocked per day from Monday April 22 to Friday April 26 to help celebrate National Medical Laboratory Week. Check back in April to watch these stories unfold. Medical laboratory professionals are essential to your health. Whenever or where ever you need us, we are on your health care team. Hover your cursor over each professional below to learn more about each profession. 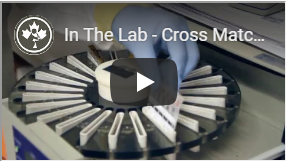 Medical Laboratory Technologists (MLTs) use a variety of complex instruments to analyze tissue samples, blood and other body fluids as a part of the diagnostic procedure. 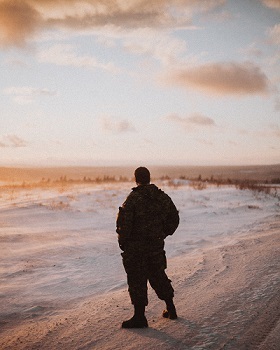 MLTs provide the results of these sophisticated tests to physicians, allowing them to make accurate diagnosis and if needed, appropriate treatment. Cytotechnologists are health professionals that analyze cellular changes that can determine the presence of specific diseases. 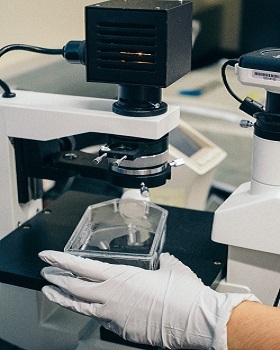 Mostly through the use of slides under a microscope, cytotechnologists are able to detect pre-cancerous cells, different cancers and other cellular based infections. 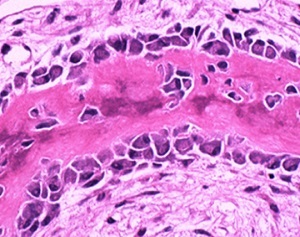 An abnormal finding would be sent to a pathologist for a final diagnosis. Genetics Technologists use a variety of instruments to analyze and diagnose changes or abnormalities in chromosomes and DNA, which are unique to every individual. 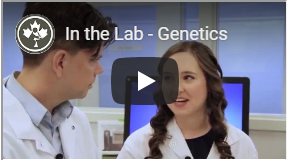 A genetics technologist's analysis of these cells can lead to a diagnosis of genetic diseases. Medical Laboratory Assistants (MLAs) work under the supervision of a Medical Laboratory Technologist (MLT), performing the practical components of sample analysis. 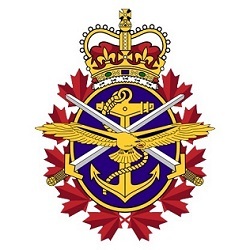 MLAs sort, prepare and sometimes process samples that will be tested and analyzed by a MLT. MLAs often collect samples, such as blood, and are often the laboratory professional that interacts directly with patients. 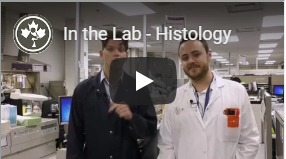 Your host Andrew Chapman illustrates the importance of the medical laboratory profession by giving you an inside look at the inner workings of a busy laboratory in both a hospital and private lab. 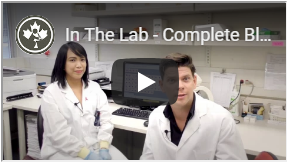 We’ll go behind the laboratory doors at Toronto General Hospital at UHN and LifeLabs to speak with medical laboratory professionals who complete the health care picture. Medical laboratory professionals work to provide critical information that helps guide medical decisions about your health. They sort, prepare and analyze samples from virtually every part of your body - from head to toe. 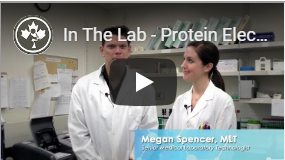 Discover how medical laboratory professionals are involved in your health. Click on the points to learn about some of the testing done on that body part. You are currently using an unsupported and out of date web browser. Update your browser to have the best experience on this site. If you would like to continue browsing please click "close" in the top right hand corner. 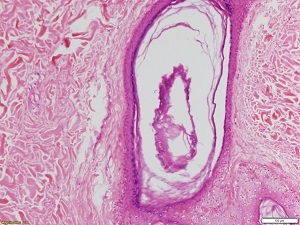 This is a Histotechnological stain applied on skin tissue which includes a hair follicle. 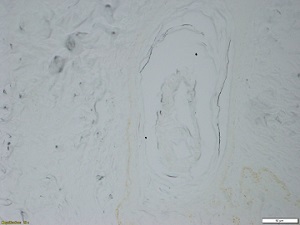 The actual name of this stain is Hematoxylin and Eosin (better known as H&E). It is a routine stain applied to tissues received in the Histopathology lab. ALL tissues removed from patients (surgical, biopsy, autopsy) are sent to the Histopathology lab. Once received in the lab, medical laboratory professionals put the samples through a series of processes, including staining. After applying stains, the tissue components will pick up the dye in the staining solution making them visible under the microscope. The medical laboratory professional ensures the samples are processed correctly before handing them to a pathologist for a diagnosis. This is the only way the tissues from the patient can be diagnosed; through the visualization of the tissue architecture by the pathologist. Blood can tell many stories. Blood tests are often ordered through a routine health exam or when there are symptoms that require further investigation. A medical laboratory professional will view the prepared blood sample under a microscope. 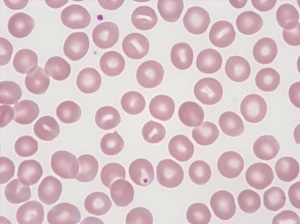 How the blood cells appear is important information used in diagnosis. Bacteria grow in your body causing an infection, making you feel ill or in pain. A very common bacterial infection is strep throat, caused by a group A streptococcal infection. Your doctor or nurse will take a throat swab to get a sample of the bacteria cells in your throat. Then the sample is sent to the lab to grow the bacteria to determine the type, in order to know the treatment. 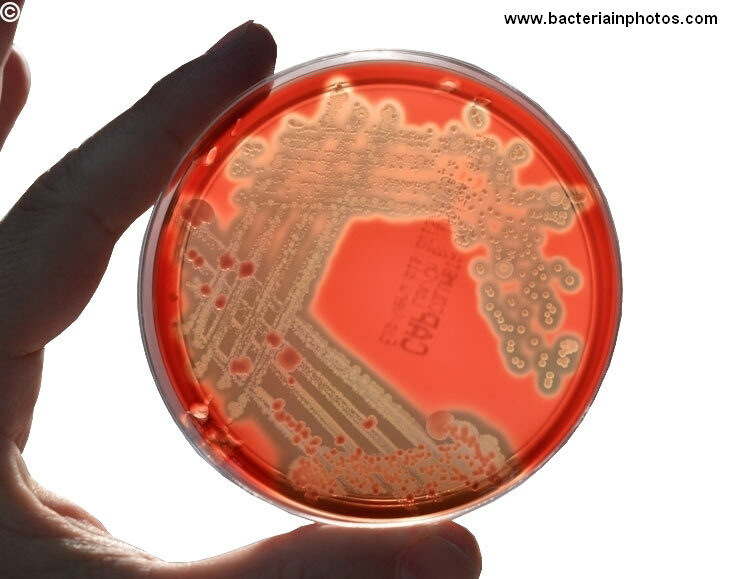 A medical laboratory professional will take a very small part of the sample and touch it to a petri dish that has been treated to enable bacteria growth. They will then use a small, sterile instrument to spread the cells around the dish, this is called streaking. It helps to separate as many cells as possible. Once the bacteria begins to grow it may look like this in the petri dish. The medical laboratory professional will then take a small part of the growing bacteria and process it, including staining (or adding colour) in order to view the cells under a microscope. This helps determine what strain or type of bacteria is present and which antibiotic will treat it. Depending on the results of blood work and ultrasounds, a primary physician may recommend a liver biopsy. 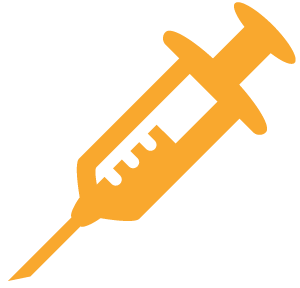 This might be for patients with a history of alcohol abuse or those who have had a hepatitis infection at one point. They will likely have their liver function monitored by a specialist on a regular basis so that cirrhosis will not ensue or progress further. 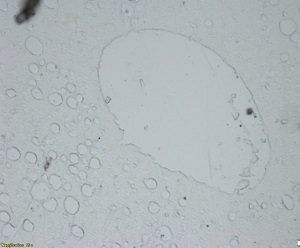 In this sample we see adipose tissue (fat) infiltrating the normal architecture of the liver specimen, seen as the large white cells. 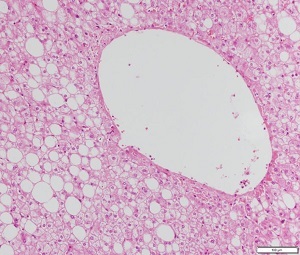 The presence of fat amongst the normal liver architecture is a tell-tale sign that you are visualizing a progressed disease. A fatty liver can be the result of several diseases or disorders including alcohol abuse, obesity and hepatitis. 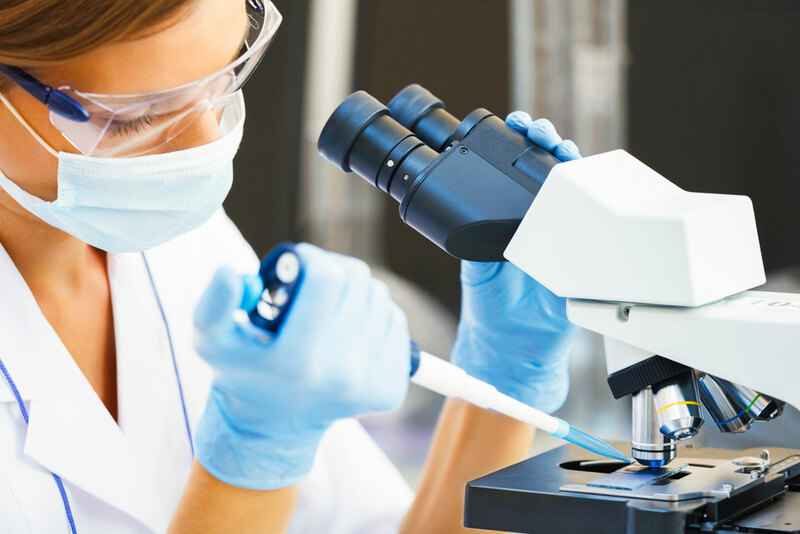 A medical laboratory professional would process the biopsy sample in order for a pathologist to make a visual diagnosis. You can see the importance of staining a sample, in order to see the various structures. The signs of a heart attack can look different for different people; one of the most accurate ways to know if a heart attack has occurred is through a blood test. A blood sample is taken and sent to the lab where it is prepared for chemical analysis. A medical laboratory professional will separate the sample to run several tests. Using an analyser, they are looking for specific biomarkers that will determine if the patient is experiencing a heart attack or not. Troponin – testing for this protein is done several times over a time period to monitor the increase or decrease of levels. The results over the series of tests will indicate a heart attack. CK-MB – an enzyme found in the heart muscle which will increase when there is damage. Osteoblasts are one of the cell types that form bone. They are seen here in a bone biopsy. A biopsy might be performed to check for infection, cancer or other bone diseases. This image is of normal bone that has been decalcified (removal of the hard calcium), processed and stained (coloured) by laboratory professionals and magnified under a microscope. It will be given to a pathologist for examine and possible diagnosis. 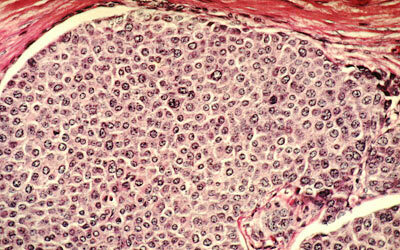 This image shows squamous epithelial cells infected with Human Papilloma Virus (HPV). These cells are from a Pap test (Papanicolaou test). This routine test involves taking a sample from a woman's cervix to screen for cervical cancer. 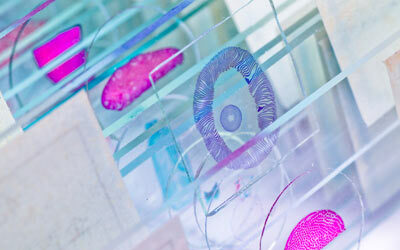 The sample is processed, stained (coloured) and examined by laboratory professionals. Bacteria are everywhere! These single cell organisms live and grow in our bodies at all times. The majority of bacteria are healthy and assist in keeping our bodies functioning correctly. These include bacteria in our digestive systems and on our skin that help protect our immune system. Sometimes bacteria are harmful and can cause infections and diseases. The laboratory can take a sample of the bacteria in question and grow it in the ideal conditions to see what forms. Once grown, the bacteria is categorized and a diagnosis can be made and appropriate treatment can begin. In this short video we can see the bacteria growing in an incubated chromomogenic media over 18 hours. The larger pink colonies are Escherichia coli (E. coli) and the smaller blue colonies are Enterococcus faecalis. Both organisms are common in urinary tract infections and can be a life threatening highly antibacterial resistant strain. Pleural fluid is found in the membranes surrounding your lungs. It's normal to have a small amount of this fluid as it helps us breathe normally. With certain diseases such as lung cancer, too much fluid is produced. This is a picture of pleural fluid from someone with metastatic lung cancer. 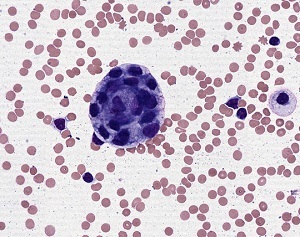 The large purple cell in the middle is a cancerous cell. Laboratory professionals prepare, stain and examine this type of fluid and identify the cells found in it. 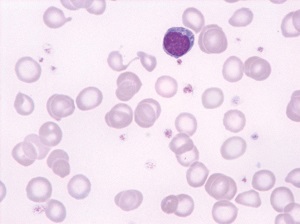 If a cell looks suspicious it is referred to a pathologist for final diagnosis. Renal tubules are the small tubes found in your kidneys that contain fluid filtered by the kidneys. As fluid travels through these tubules it is further filtered. Anything your body requires such as water, electrolytes, glucose and amino acids are kept and anything that is not needed is excreted as urine. 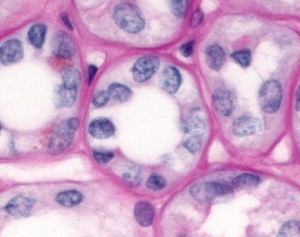 This image is of a normal renal tubule has been processed and stained (coloured) by laboratory professionals and magnified under a microscope. A renal tubule may appear abnormal in diseases such as systemic lupus erythematosus or with kidney failure. Sometimes diagnosing the cause of illness can require several tests. The combination of results from x-ray, ultrasound and blood testing might only provide part of the story. Your doctor may need a closer look at what's happening under the skin surface and that will lead to a tissue biopsy. A sample of tissue is removed from the body (biopsy) and is prepared for visual analysis under the microscope by a pathologist. 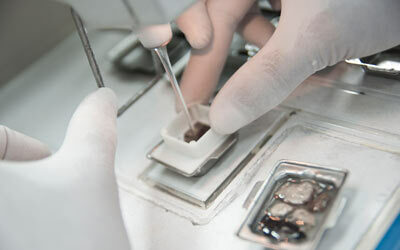 A medical laboratory professional in the histology lab, performs several steps to ensure the sample is prepared correctly for the most accurate results. 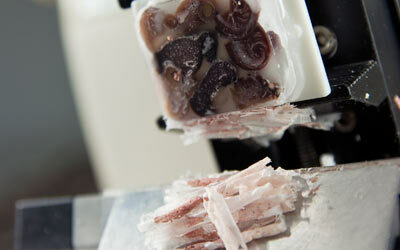 Step 1: The tissue is processed to dehydrate it and then embedded into a wax mold. Step 4: The slide is viewed under the microscope where normal and abnormal cells can be viewed. Analysis of urine is a very common lab test as it can provide a host of information. 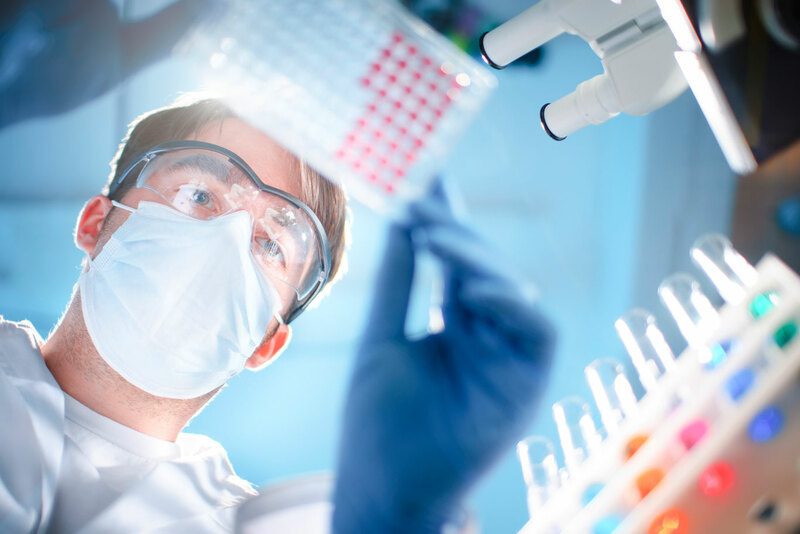 Your sample is sent to the lab in the sterile specimen cup, where a medical laboratory professional will do a visual analysis before preparing it for further testing. They then dip a specialized strip of paper into the urine to start the chemical analysis. The results from all the testing are recorded and given to your health care provider. There are over 440 million lab tests performed on a yearly basis in Canada. Medical laboratory professionals run these tests to provide critical information about your health. 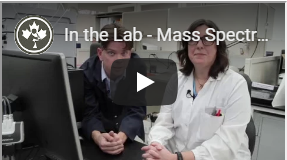 Get a deeper look at how tests are performed, why they are done and how medical laboratory professionals get results. blood donations were received in one year. genetic testing products on the market today. 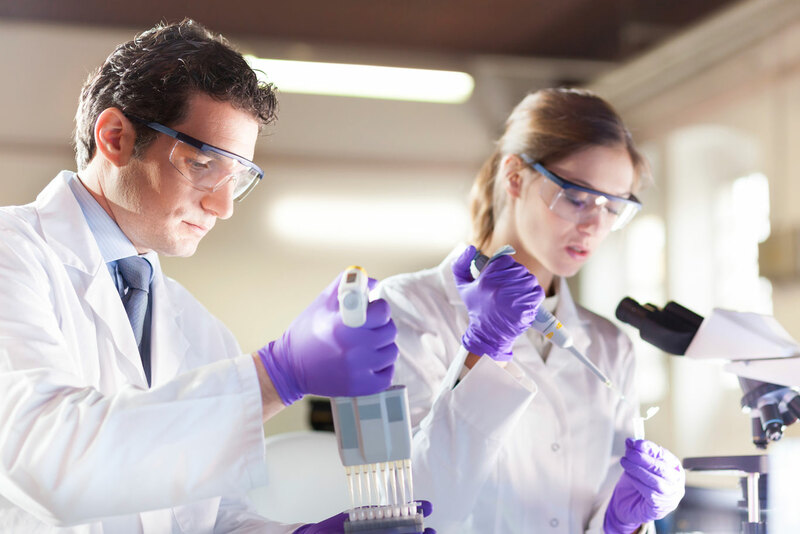 The demand for laboratory tests is always increasing. The volume of some tests have risen exponentially. In the case of vitamin D tests, the number of tests ordered have increased dramatically, driven by the interest of both doctors and their patients in the purported health benefits of the vitamin. Laboratory tests are required for an accurate diagnosis of the specific bacteria causing a sexually transmitted infection (STI). This information is vital to providing effective treatment, as each bacteria would respond to a different antibiotic. 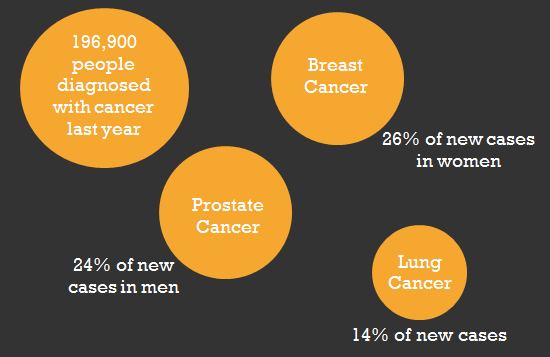 An estimated 206,200 new cases of cancer will be diagnosed in Canada in 2017. Medical laboratory technologists play a vital role in the diagnosis process. The testing done in the laboratory is key to assisting in early detection and treatment. 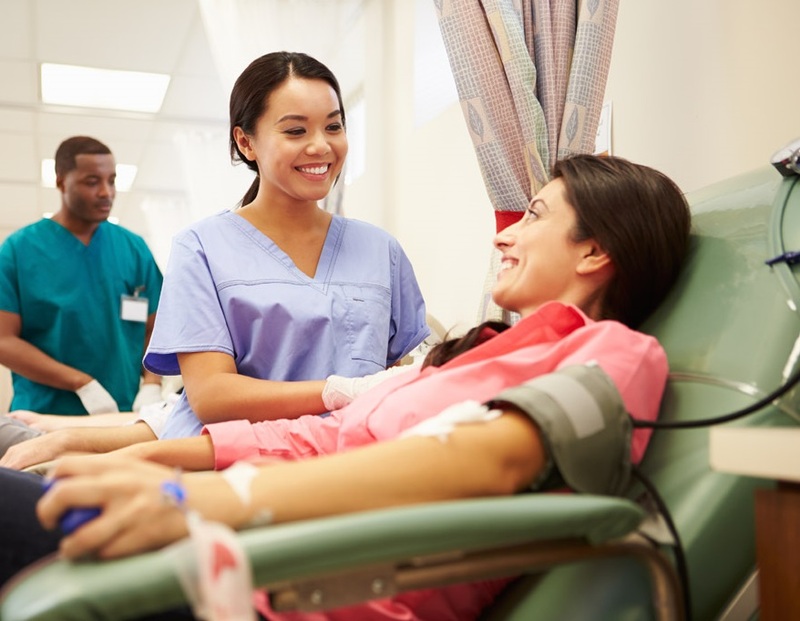 Blood and blood products are a critical part of everyday medical care including major surgeries, medical procedures, cancer treatments and managing disease. Medical laboratory assistants often draw blood from patients for clinical or medical testing, transfusions, donations, or research. 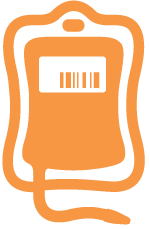 Medical laboratory technologists, specifically those in transfusion science, conduct blood typing and blood compatibility tests. 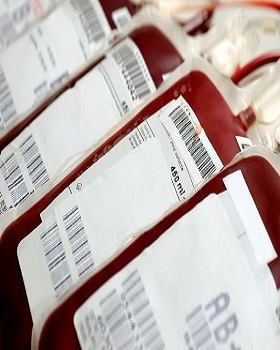 This is vital for any blood donation and subsequent transfusions. 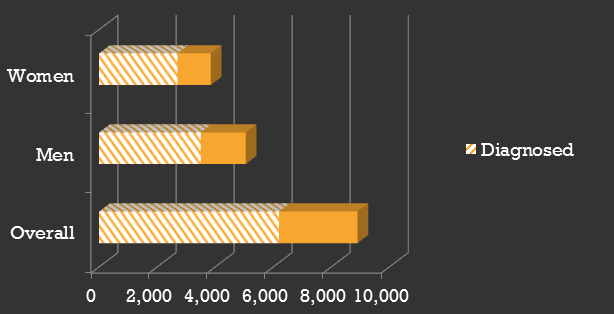 10,000 Canadian women undergo amniocentesis each year. Amniocentesis (also referred to as amniotic fluid test or AFT) is a test in which fetal DNA is examined for genetic abnormalities. Laboratory professionals called Genetic Technologists analyze and diagnose abnormalities in chromosomes and DNA, which are unique to every individual. Their analysis can lead to a diagnosis of genetic diseases. There are more than 69,100 genetic testing products on the market today (as many as 10 new ones added every day). Genetic testing has evolved in complexity beyond the single-gene paradigm, the genetic testing market has become similarly complex and dynamic. These new and abundant genetic tests would be performed by Genetic Technologists, who diagnose abnormalities in chromosomes and DNA which can lead to diagnosing genetic diseases. Almost every hour, more than 20 people are newly diagnosed with diabetes. Each diagnosis is made through a laboratory blood test called Hemoglobin A1c. A medical laboratory professional processes a blood sample to determine the level of glucose (sugar) that is present in the blood. They can tell this by the level of glycated hemoglobin (or A1c) that is present, because A1c is present when glucose attaches to hemoglobin. In 2017 it is estimated that 6,200 Canadians will be diagnosed with leukemia. Medical laboratory technologists conduct a complete blood count (CBC) on your blood sample, which measures the number and quality of white blood cells, red blood cells and platelets. 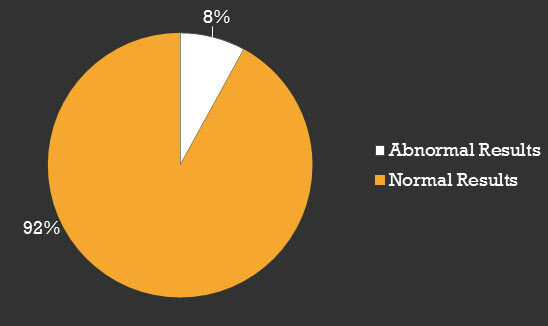 Leukemia and other conditions can cause abnormal blood cell counts. Over 4 000 000 Pap tests are done every year in Canada. 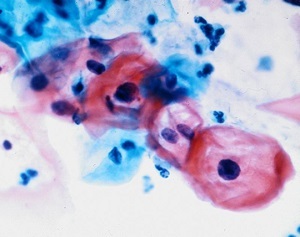 Pap test samples are processed, stained (coloured) and examined by laboratory professionals called cytotechnologists. This method of cervical screening is used to detect potentially pre-cancerous and cancerous cells. © 2019 Canadian Society for Medical Laboratory Science. All Rights Reserved.